The Indianapolis Colts entered this game looking for revenge. Last time the Colts met the Houston Texans, they were embarrassed in a away Week One match-up, letting Arian Foster run right over them with 231 rushing yards and a Texans’ 34-24 win. Now they looked to get their first away win against Indianapolis, as they’re 0-8 against them on the road. Could they break the streak? Nope. Many thought this would be a close game, due to the large amount of injuries Indianapolis has, along with that many would think their defense couldn’t stop Foster. They did. So what if they allowed him to have 105 rushing yards? They technically shut him down, since the Colts destroyed them towards a 30-17 win. Without Dallas Clark, the Colts looked to be in trouble. But after two great defensive stops on Matt Schaub and the Texans’ poor passing game, Peyton Manning drove down the field to help set up a touchdown to Jacob Tamme. However, it really started by Mike Hart, who burst for a 30-plus yard run. This set up himself for a career-high of 84 yards on only twelve carries. 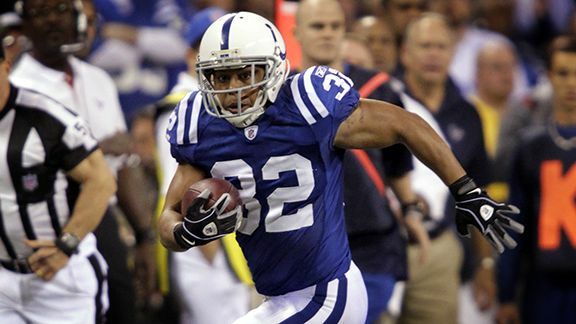 Tamme showed signs that he could be a solid tight end once he starts improving for the Colts. And when Clark returns for next season, the Colts can add another passing threat to the checklist of many great ones. Manning was solid all game. Of course, he passed great, going 26-of-45 for 268 yards and two touchdowns which led to a 89.9 rating. He also helped set up a block, letting Pierre Garcon run off a screen pass. He also rushed for a seven-yard first down. Manning showed what a true athlete he was on Monday Night. This game was extremely important for Indy, as if they lose, they will trail in the AFC South division. But now they evened up the series with Houston and now are finally on top of the AFC South, leading with a strong 5-2 record. The only teams that could only stand in their way now are the Jacksonville Jaguars, who the Colts are currently 0-1 against so far this season, and the Tennessee Titans, who Indy has yet to play. The defense continuously abused Matt Schaub. Though he had a great second half, the damage was too much from the first half. Schaub would total up going 22-of-38 for 201 yards with a touchdown and 70.2 rating. He also had an interception, which happened early in the second quarter where Kelvin Hayden took it and took it back 20 yards into the end zone for a go-ahead 14-0 lead for Indianapolis. Hayden has had some controversial moments. The most controversial one was against the Jacksonville Jaguars on their last drive, where Josh Scobee booted in a 59-yard field goal to set up a 31-28 victory. But on a crucial down, David Garrard threw right at Hayden, but he dropped the interception. If he had got it, he would have had a touchdown. Now he has made up for it. The Texans would follow-up the Hayden interception with a field goal by Neil Rackers, which barely went in. The Colts would come back, making the last score of the half with an Adam Vinatieri field goal, which was sailing way to the right but then slowly turned to left to creep in for three points, building on a lead that insult to injury, as Indy had a 17-3 lead. The Texans did make a strong second half push, coming as close to 27-17, but it wasn’t enough. Indianapolis will face Michael Vick and the tough Philadelphia Eagles next.